From our Fairtrade Policy to the championing of Fairtrade products across the University, explore what makes us a Fairtrade University. 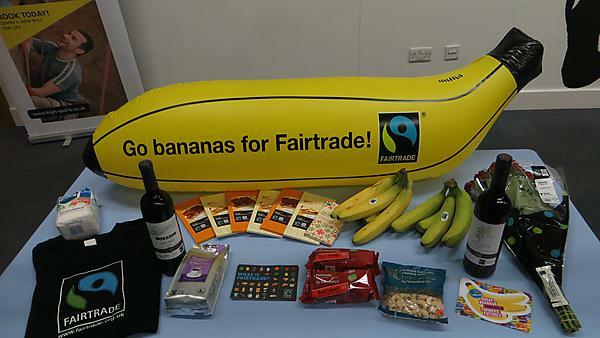 Email sustainabiliy@plymouth.ac.uk if you'd like to be part of the Fairtrade Steering Group. We're a Fairtrade University, and have been since 2006. This means we're supporting better prices, decent working conditions and fair terms of trade through the goods we purchase and the suppliers we work with. We're dedicated to developing a sustainable food culture at the University. We provide Fairtrade products where possible, working with local food partners to increase the demand and supply of seasonal, local and organic food. support Fairtrade Fortnight each year. We've sustained our Fairtrade University status since 2006. We sell Fairtrade coffee, tea, juice, biscuits, fruit, chocolate, sugar and cereal bars throughout our cafes on campus. All our hot drinks sold in campus cafes are Fairtrade. In 2017, we successfully renewed our Fairtrade status following another two years of activity supporting the Fairtrade Policy and action plan. This policy is reviewed by the Fairtrade Foundation. We sell Fairtrade goods across all campus cafes and within hospitality - this is part of our wider sustainable food agenda. Beyond this the Students' Union also sells Fairtrade cotton branded clothing, so when you buy your Plymouth University hoodie you can be safe in the knowledge that it was purchased with a fair deal for the farmers growing the cotton. We're working on extending this to all clothing the University purchases, such as health and safety clothing. Each year Fairtrade Fortnight falls in February-March time, and we support this with two weeks of activities and events. For Fairtrade Fortnight 2017 we ran a banana selfie competitions, had several Fairtrade chocolate giveaways, a games workshop ran by CLASP, a Fairtrade themed book club reading, Fairtrade pancake morning as well as chocolate talk hosted by a Ghanaian cocoa grower along with Plymouth Ghana Link. Keep an eye on our Events pages for information about the next Fairtrade Fortnight. We had a successful year again in 2016 where together we sat down for Breakfast and stood up for farmers at our Big Fairtrade Pancake Breakfast event before two of our cafes held a Fairtrade Curry Lunch combined with a Fairtrade Quiz. We were joined by a speaker from the Fairtrade Foundation for a day who gave talks to primary and secondary schools as well as giving a presentation in our evening Fairtrade Talk. Keep supporting Fairtrade through your purchases on campus and off campus. 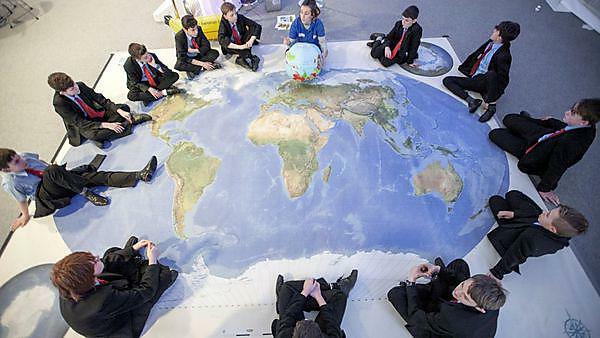 And if you want to get involved or host an event, please email sustainability@plymouth.ac.uk. Our Fairtrade Policy along with other sustainability policies can be found on our Policies page. Fairtrade fortnight participants have been showing their competitive side in a Fairtrade World Cup. Award winning catering - for more information, visit our Sustainable Food page.